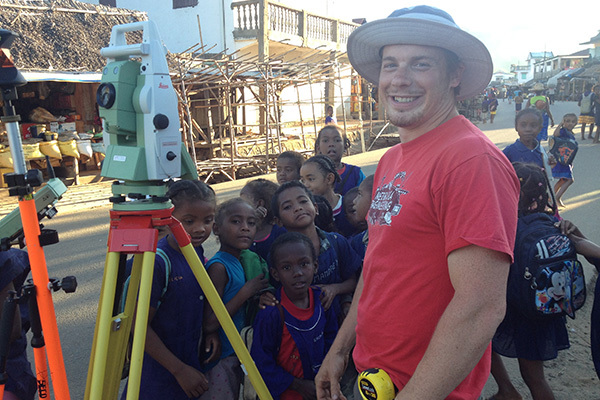 Imagine putting your engineering knowledge to use to help people around the world all while building your leadership skills! 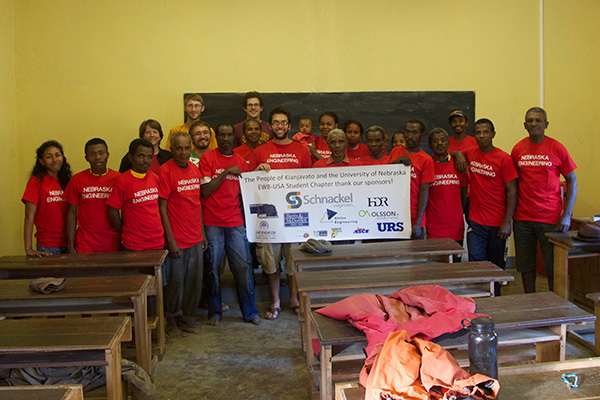 Here at the University of Nebraska our student-run EWB-USA chapter works with the remote community of Kianjavato, Madagascar to provide the community with lights in schools through renewable solar power. 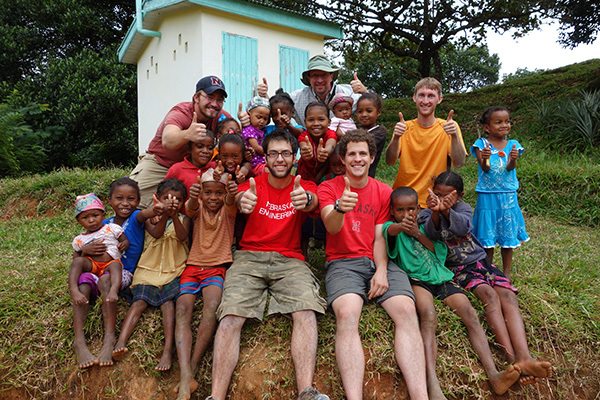 With students from every engineering major participating from both campuses, our student EWB-USA chapter has been recognized for their excellent work here in Nebraska and in Madagascar, including receiving the 2014 EWB-USA Midwest Regional Premier Chapter Award and the UNL Student Organization Award for Philanthropy and Service. Several of the student leaders and members have also received university awards for their work in EWB-USA. In 2014, one of the faculty advisors, Dr. Libby Jones, received the EWB-USA Peter J. Bosscher Faculty Advisor Award for Outstanding Leadership. Dr. Jones and Dr. Shannon Bartelt-Hunt, both faculty in Civil Engineering, founded our EWB-USA student chapter in 2008. Engineers Without Borders-USA (EWB-USA) is an international non-profit organization committed to improving the quality of life in developing communities through the implementation of environmentally sustainable, equitable, and economical engineering projects. While advancing the quality of life in these communities, EWB-USA works to develop globally aware and personally responsible engineers and students.It is an organization that supports community-driven development programs worldwide through the design and implementation of sustainable engineering projects, while fostering responsible leadership.